When Ebola first arrived in Europe on September 29, 1976, the vials of the virus were carried from Zaire, now the Democratic Republic of the Congo, in a shiny blue thermos on a passenger flight. Three lab workers in Antwerp, Belgium, received the thermos and prepared to open it on a lab bench. The precautions they took and the room they were in were appropriate for handling organisms like salmonella or tuberculosis, with none of the security procedures or body suits that we now associate with manipulating Biosafety Level 4 pathogens like Ebola. Wearing latex gloves and no other protection, they opened the cheap plastic thermos that was supposed to hold two glass vials of blood that had been drawn from a Flemish nun who was too sick to be evacuated from the Congo. One of the vials was broken – the thermos hadn’t been stored carefully enough on the passenger plane that carried it from Kinshasa. 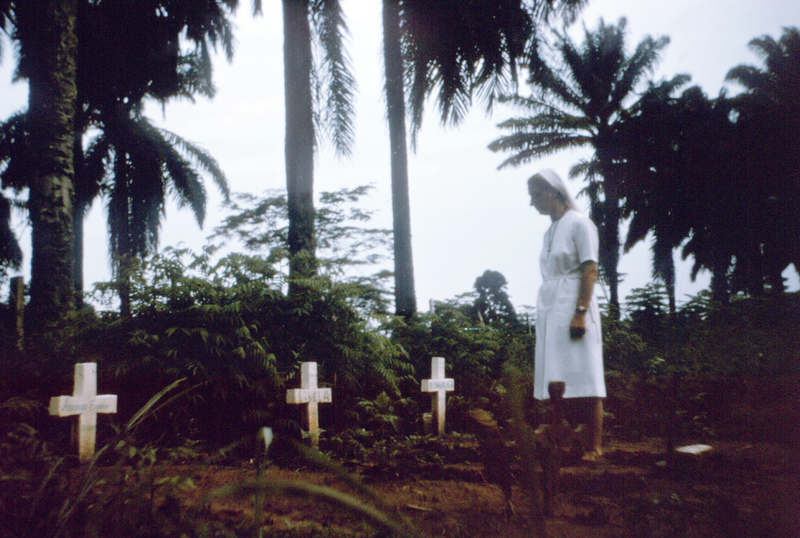 This photo from 1976 shows one of the Flemish nuns from the mission in Zaire looking at graves of colleagues and patients who died in that Ebola outbreak. We didn’t even imagine the risk we were taking. Indeed, shipping those blood samples in a simple thermos, without any kind of precaution, was an incredibly perilous act. Maybe the world was a simpler, more innocent place in those days, or maybe it was just a lot more reckless. If they had any idea what Ebola was at the time, it would have been shipped to one of the three non-Soviet labs that were considered able to handle hemorrhagic viruses. But since the team had no idea of exactly what they had received, Piot’s two co-workers, postdoc student Rene Delgadillo and Guido Van Der Groen, reached into the soupy viral mess and picked out the intact vial. “It makes me wince just to think of it,” Piot writes. To isolate the virus, the three – still maskless and with no protection but gloves – injected the blood into cell cultures and into the brains of adult and baby mice (“I never liked this aspect of the work,” Piot writes). They tested the blood, cell cultures, and mice over the next several days for known hemorrhagic diseases like yellow fever and Lassa fever, but antibodies for those diseases never turned up. Their boss, Stefaan Pattyn, looked into the epidemic itself, and found a village called Yambuku that seemed to be the origin. The Flemish nun had died on September 30, and pieces of her liver were flown to Belgium on yet another passenger flight. 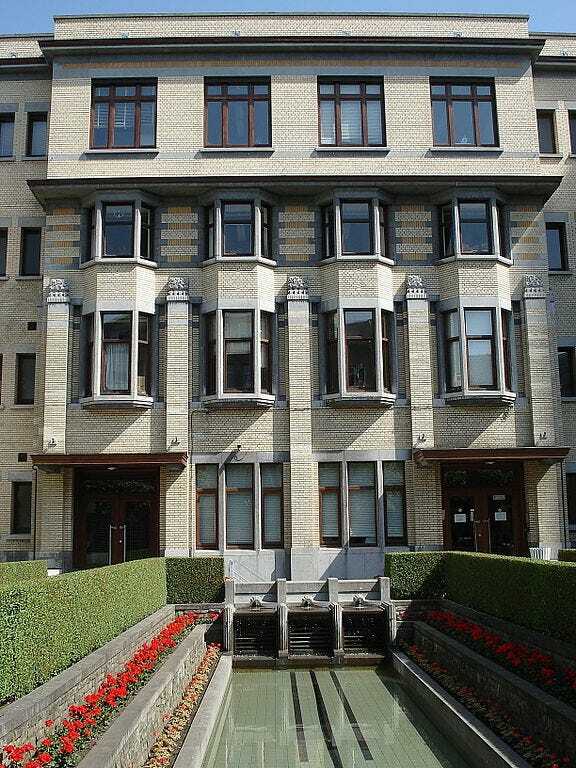 This is the Antwerp Institute of Tropical Medicine in 2009. Pattyn thought the virus must be a new rare hemorrhagic fever, a disease that causes the seemingly constant bleeding that accompanies some Ebola cases, and the sort of fever that the lab was not certified as safely equipped to handle – but they wanted to keep investigating anyway. Piot says that at this point, he was “inflamed” with interest and “loved the detective thrill.” His medical school advisor had told him to stay away from infectious diseases since “they’ve all been solved,” a statement that, looking back on it, was quite naive. This one hadn’t been solved, and seemed like the chance to both discover something new and to save lives. Piot still didn’t know how incredibly deadly the virus is – that it was a hemmorhagic fever was strongly suspected but still not confirmed – but all evidence pointed to something grave. The World Health Organization ordered the samples shipped to one of the only labs equipped for hemorrhagic viruses, Porton Down in Britain, and from there they were sent to the CDC in Atlanta, considered the reference library for these types of diseases. Piot doesn’t know why exactly – perhaps Pattyn was reluctant to send away what they’d been first to examine. “It was new, it was exciting – just too exciting to hand it over to the Brits or, in particular, to the Americans,” he writes. They kept a few cell cultures and some newly-infected mice, Pattyn claiming they needed a few more days before they were ready for transport. And they kept examining them to see what they could find. Before long, something went wrong. Pattyn, who was in charge but was a little clumsy in the lab itself, according to Piot, dropped an Ebola vial on the floor, where it shattered onto Delgadillo’s shoes. “Godverdomme,” goddamn, said Pattyn. They disinfected the floor and removed the shoes. 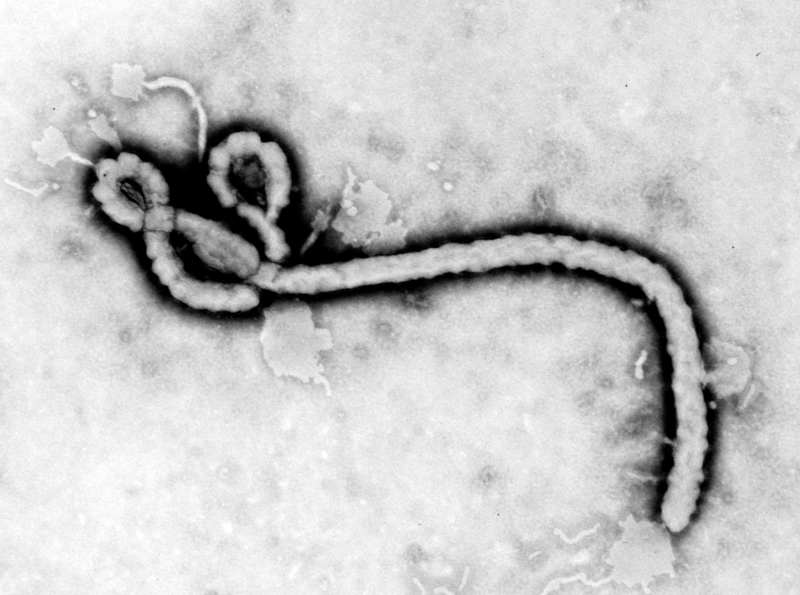 This 1976 image of the Ebola virus is similar to the one that would have convinced Pattyn that they were looking at something that could be similar to Marburg – or worse. Only then did Piot realize how dangerous their behavior might have been, the risks they were taking. Pattyn realized that it looked like the longest known virus in existence, a rare lethal hemorrhagic fever called Marburg that had killed a number of lab workers in Germany nine years before, after they’d handled infected monkeys. They finally realized their folly and sent the rest of the samples to the high-security CDC labs. If the virus was Marburg or something related, they knew that they lacked the equipment to study it. And they started looking for money to go to Zaire and see the outbreak for themselves. Confirmation soon arrived from the CDC that the virus was not Marburg, it was something new. This was the first time the world recognized the virus that came to be known and feared as Ebola. That 1976 Zaire outbreak gave the virus its name, and killed 88% of those infected, 280 people – the most of any outbreak until the current one.